It’s been a very busy week here in Cardiff, as we have been hosting a National Event to launch the Science and Technology Facilities Council (STFC)’s new Centres for Doctoral Training in Data-Intensive Science. 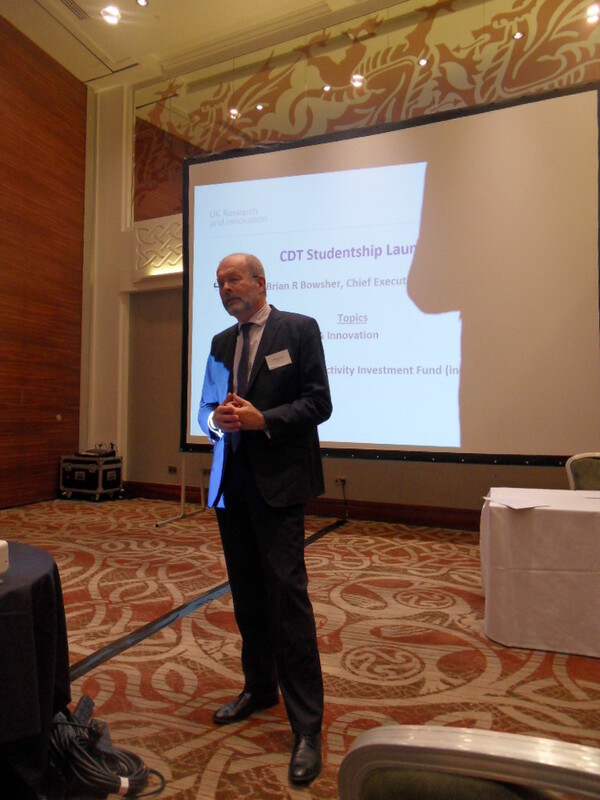 There are eight new CDTs involving 19 institutions across the country (including the local one that involved the Universities of Cardiff, Bristol and Swansea). 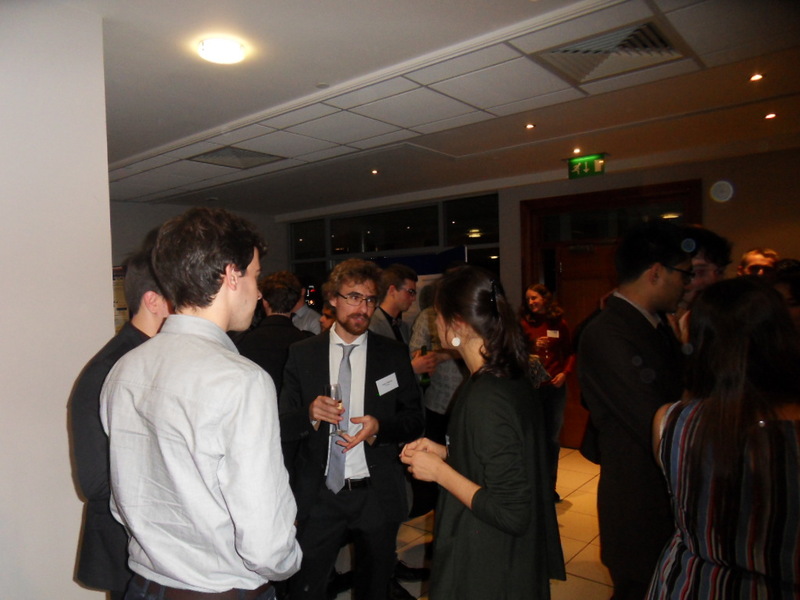 We were delighted to be chosen to host this event, which has had a tremendous buzz about it, as 120 new PhD students met with academics from all the CDTs, STFC staff, and representatives of industry partners, for a mixture of training and networking activities. I took part in a panel discussion this morning about careers, which was very interesting. Last night we had a dinner at the Mercure Hotel in Cardiff (where the Real Madrid team stayed just before this summer’s UEFA Champions League Final in Cardiff). 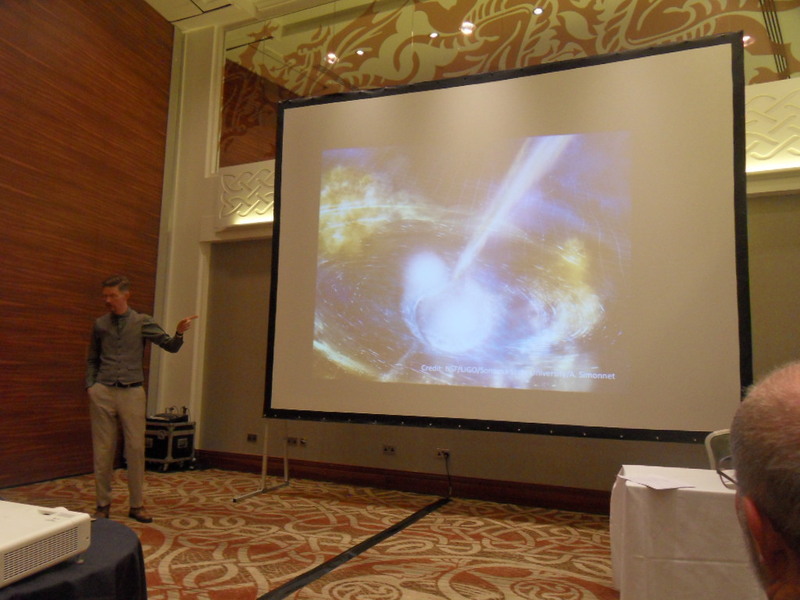 The dinner was preceded by a welcome from Professor Karen Holford (Deputy Vice-Chancellor of Cardiff University), a talk by Brian Bowsher (Chief Executive of STFC) and Prof. Patrick Sutton of the Gravitional Physics group at Cardiff who gave an outstanding talk about the latest developments in gravitational waves. 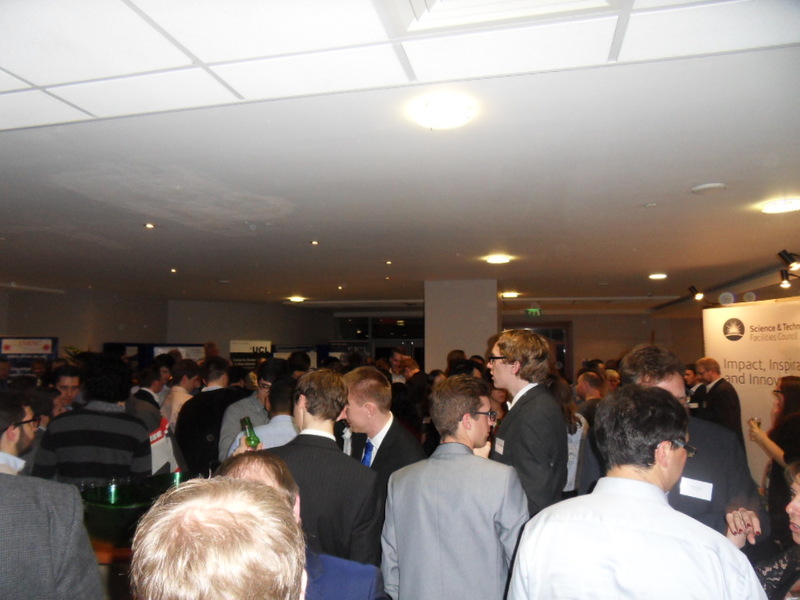 There was then a `showcase’ event to allow students and staff to talk about their work over a few drinks. Here are some pictures of yesterday’s activities. 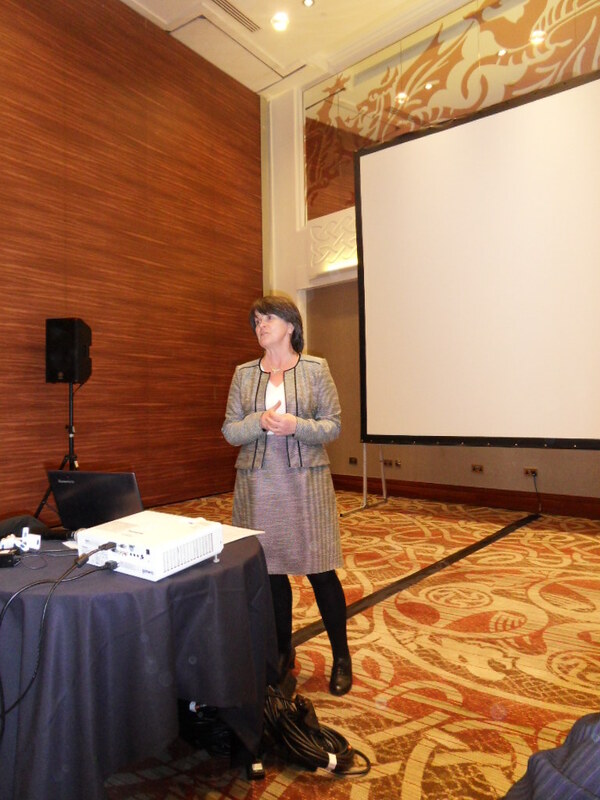 Prof. Karen Holford giving her welcome speech. 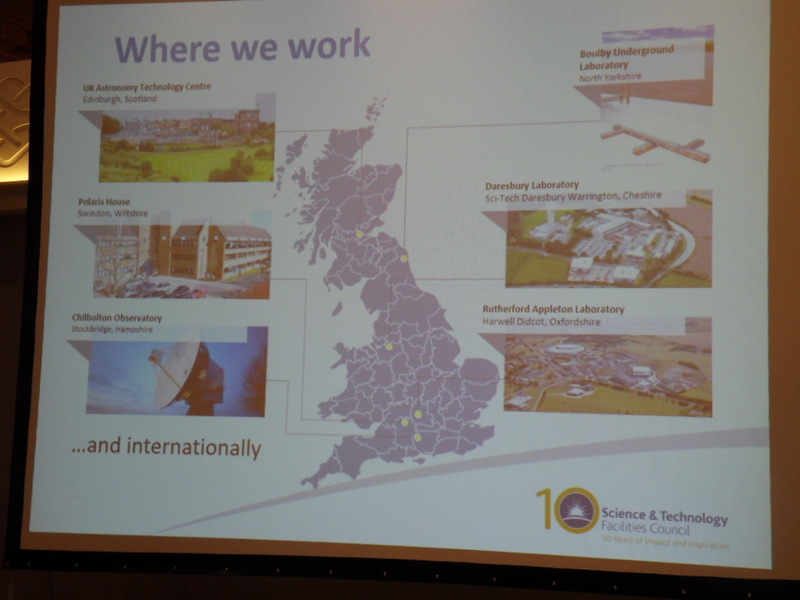 STFC sites (some of them in the correct geographical location). 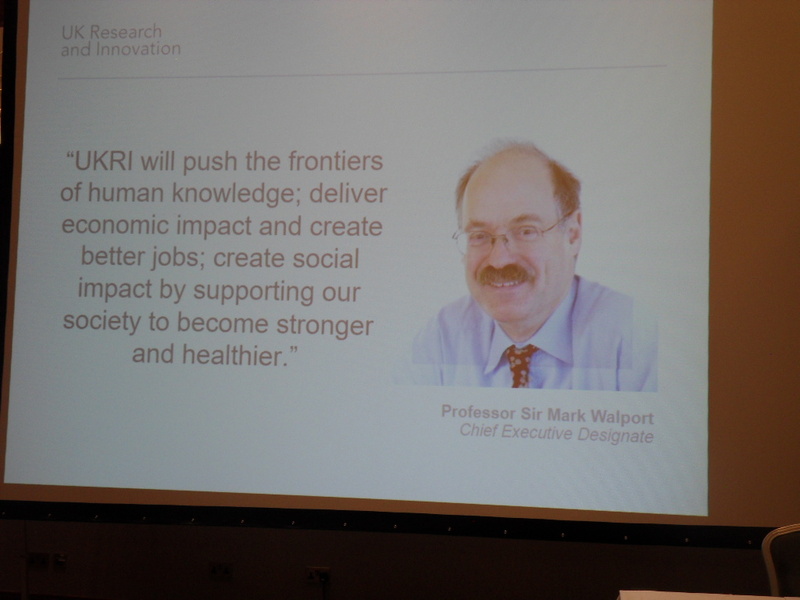 Professor Mark Walport was unable to attend the event in person but did at least appear on a slide about the new UK Research and Innovation entity, which formally comes into existence in April 2018! And here are some of the members of the team from STFC who did most of the organization for this very successful and enjoyable event. 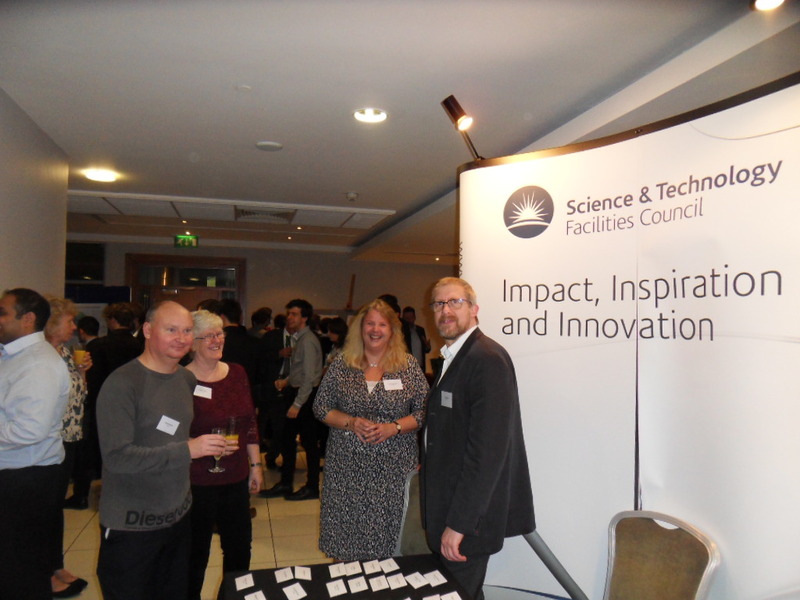 Some members of the STFC team! The event finishes this afternoon, after which I think I’ll have a lie down! Update: there’s a Cardiff University News item about this here. We have a short break in the schedule for our induction event here at the Cardiff Vale Resort Hotel. 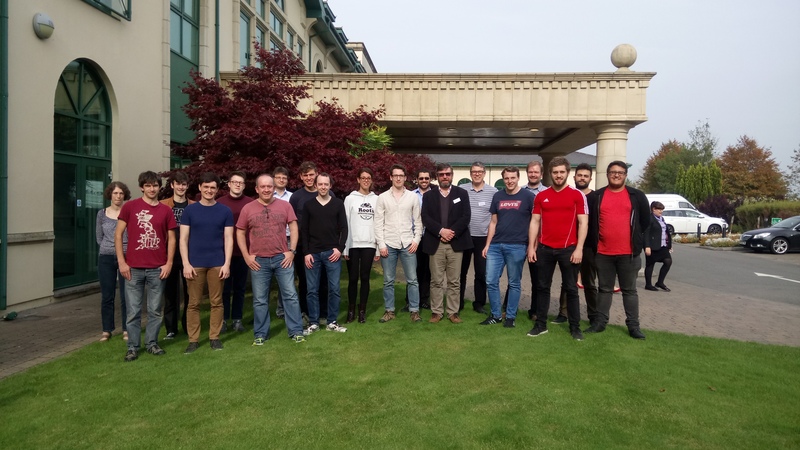 Yesterday we had a full schedule of presentations, an excellent interactive training session by Cardiff PhD student Ed Fauchon-Jones about version control and the use of Github, an ongoing `hackathon event’, and a networking event with our industrial partners. It’s been a busy but very exciting and enjoyable start to the new Centre for Doctoral Training. 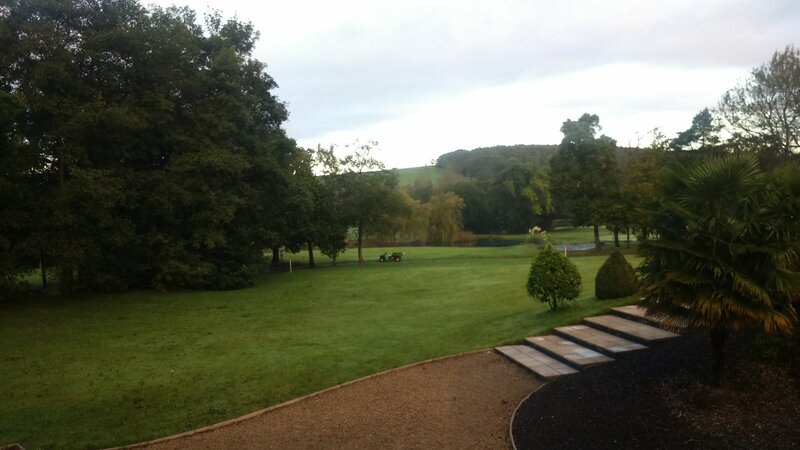 This afternoon we have more activities, but this morning the new students have been sent out into the countryside in land rovers for a `Team Building’ event, leaving us old fogeys behind to enjoy a little bit of peace and quiet back in the hotel. One of the aims of the hackathon has been to build teamwork. The students are in groups of three or four. Each group has been given a bit of old software (written in Fortran) and charged with the task of figuring out what it does and then rewriting it in a modern programming environment (most of them are using Python). That plan was that by the end of this afternoon they should be able to present us a working piece of code. Unfortunately I don’t think we’ve allowed enough time so it may be that the teams don’t all finish their challenge, but it’s been fun to see how they’ve tackled the problems. I’m old enough to remember Fortran very well, so I was able to help a couple of the groups by explaining some of its idiosyncracies. We discovered last night that the Leeds United football team is staying in this hotel in advance of their game this evening against Cardiff City. Some of the players were in the bar last night, but I didn’t recognise any of them. With Leeds currently top of the Championship I’m not sure to what extent their team needs building, but they’re playing a Cardiff City team which is in third place, level on points and separated only by goal difference, so it should be a good game tonight. Anyway, I’d better get on and get some work done before the students get back. We have a full afternoon in front of us, and then we have to tackle the logistics of getting everyone back to Swansea, Cardiff and Bristol respectively! Here is a picture of the students along with a few of the staff that attended the event, taken during the last afternoon. Happily the students all got back safely from their adventures this morning! UPDATE: 27th September. This event finished yesterday evening and we left just as Leeds United were getting ready to depart in their team coach for their match against Cardiff City last night. Cardiff City won 3-1. I’m here participating in an Induction event for our new STFC-funded Centre for Doctoral Training (CDT), which involves the Universities of Cardiff, Bristol and Swansea. 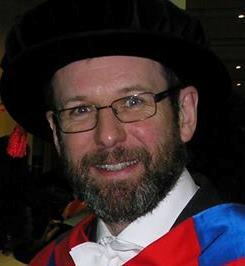 This is coordinated by the Data Innovation Institute at Cardiff University and it covers a wide range of data-intensive research in particle physics, astrophysics and cosmology carried on at the three member institutions. ‘Data-intensive’ here means involving very big data sets, very sophisticated analysis methods or high-performance computing, or any combination of these. Since this Centre for Doctoral Training is being coordinated by Cardiff University we got to organize this launch event, at which we get the new students (14 of them), supervisors and industrial partners together to introduce the programme we’ve got in store. Over the next two days we’ll have some lectures, networking sessions, team-building exercises and a `hackathon’ challenge. Hopefully all this will start to bring the students from the three institutions together as a cohort with its own identity, so that the CDT functions as more than the sum of three separate components. That’s the plan anyway. Oh, and if you think all this luxury is probably a waste of money then I should point (a) the Cardiff Value Hotel has given us a very good deal for the accommodation and conference facilities and (b) this is induction week for new undergraduates and other postgraduates at Cardiff University and it would have been hard to find rooms for this event there. The splendid isolation of this `neutral’ venue will hopefully help folk concentrate on the matters at hand, away from the hustle and bustle of the new student arrivals.